I was born in Skopie on April 3, 1968. I am married for second time, and I have two kids from my first marriage - you may see them above, and one from my second marriage. My family originates from Macedonia, which many consider as "the proper Bulgarian land". My Mother - Sasha, is born in Gevgelija a town on the Greek/Macedonian border. However, she was born there in 1942, when this was Bulgarian territory. My Father, Mile Markovski, is born in Sofia. He died in a car accident in 1975. 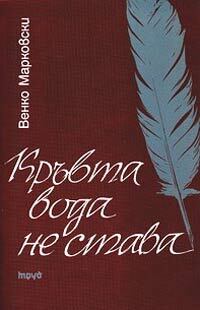 He was a writer, and his children book are well accepted even today in Bulgaria. Unfortunately, they stopped publishing him in Skopie. One of the reasons might be because of my Grand Father - Venko Markovski. who is one of the creators of the Macedonian alphabet but later in the 60ies he moved to live in Bulgaria, being expelled from Yugoslavia by Tito, and practically left with no job and opportunities to publish poems in Macedonia. He also had to serve five years in the Goli Otok concentration camp (labour camp). Well, today I am happy I can go to Macedonia, and enjoy the company of somewhat hundreds of relatives in the country. I have a brother - Igor, who's married and has a daughter and a son. Some people think I am bad, some don't know me:-) There are many people who contact me for help. When I can, I help. When I can't, I don't. Easy, isn't it? Some of the people who received help from me have sent me letters. Some of these letters are in my office, to make me feel better when I am sad. This pages has not been updated except the second sentence, since 1998, when it was created, so keep in mind it's the grandfather of the modern blogs, and may be somewhat ironical and (self)critical. Най-сетне! Публикувахме на 14.11.2003 г. книгата на дядо ми "Кръвта вода не става"! Предговорът може да прочетете тук (благодаря на Пламен Павлов) Можете да си купите книгата от издателска къща "Труд" или от пл. "Славейков" в София, както и в по-добрите книжарници в страната.